Head of the Delegation of the European Union to Russia, Vygaudas Ušackas, has met with Lithuanian businesspeople and said that Russian President Vladimir Putin should not be expected to leave leadership any time soon. 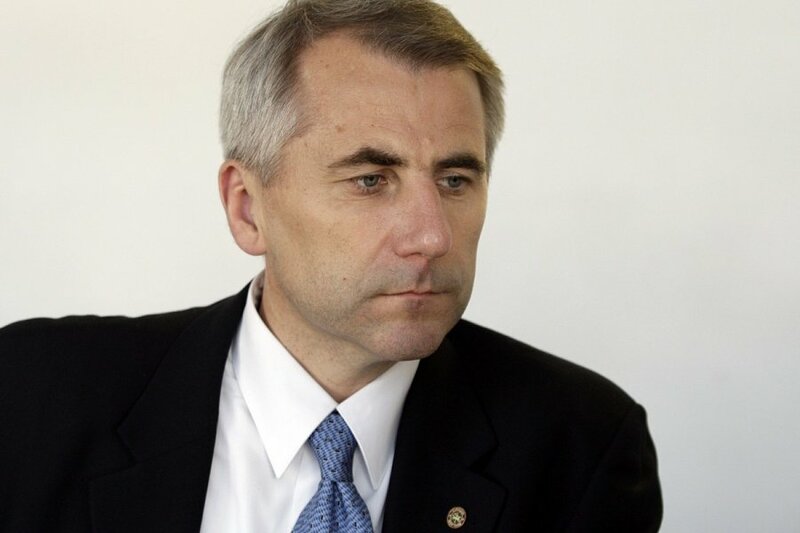 Ušackas said 2015 will be an uncertain year in relations with Russia and anything can happen. "Currently there is no alternative in Russian politics. Even though there are many bright people in the opposition, they are disunited," said Ušackas and added that conjuncture is favourable to Putin and that repressive authorities are heavily involved in political and economic life. At the meeting with the business community organised by the Lithuanian Business Confederation (LVK), Ušackas said that he saw positive signs inside the EU in developing relations with Russia, but relations would never return to what they used to be. The meeting was also attended by the newly appointed Lithuanian Ambassador to Russia Remigijus Motuzas, who accepted letters of credence from President Grybauskaitė last Friday. According to the ambassador, economic issues will be an important part of his work. In this area he will be assisted by a new diplomat, attaché for customs Rymantas Budgėnas. Can new ambassador save Lithuanian-Russian relations? "Today it is perhaps too early to speak about warming of relations because they depend not only on Lithuania but on the general context, which is determined not only by the position of Russia and Lithuania but the European Union countries and overall situation," said Ambassador Motuzas. The ambassador told businesspeople that most countries choose a pragmatic approach in relations with Russia and assured that Lithuanian business could continue interacting with Russia. According to Motuzas, cooperation must be professional as everybody understands that one day sanctions will end. However, the business community did not hide disappointment in Russia's actions against them. President of the Lithuanian Business Confederation (LVK) Valdas Sutkus said that businessmen should look for alternative markets in the West. "Lithuania and Russia maintain economic relations, but Russia is attempting to impede entry into its market. The state plays an important role in helping businessmen switch to the West," said Sutkus. Dainius Abramavičius, representative of Lithuanian National Road Carriers Association (Linava), said that Russia imposed additional measures against carriers in November 2014. Based on the new measures, if goods are loaded in Lithuania or if a vehicle is registered in Lithuania, then it is always fully inspected. Vygaudas Ušackas continued and said that before Russia's aggression in Ukraine the West still thought that Russia could be EU's strategic partner. "Aggression in Ukraine was the end of duplicity," said the head of EU mission. 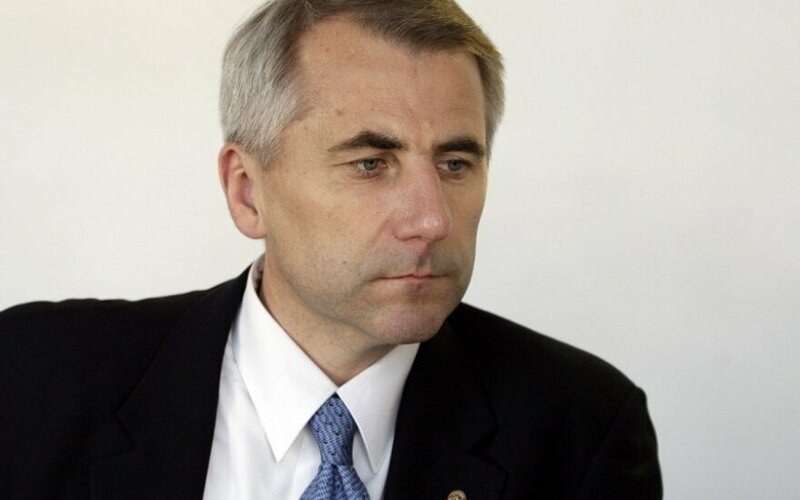 Ušackas underscored that the annexation of Crimea and the actions in Ukraine cost Russia very dearly. Sanctions hurt Russia a lot, by February it has to refinance debts for USD 160 billion, while national currency funds are dwindling and falling oil prices are not improving the situation. Finally, Ušackas said that Russia has to deal with the problem of displaced persons due to the conflict. According to him, currently there are around 1-1.5 million Ukrainians who fled to Russia as a result of the armed conflict.